The maximum length of processing:11.7"(30cm). The maximum diameter of processing: 7.8"(20cm) . 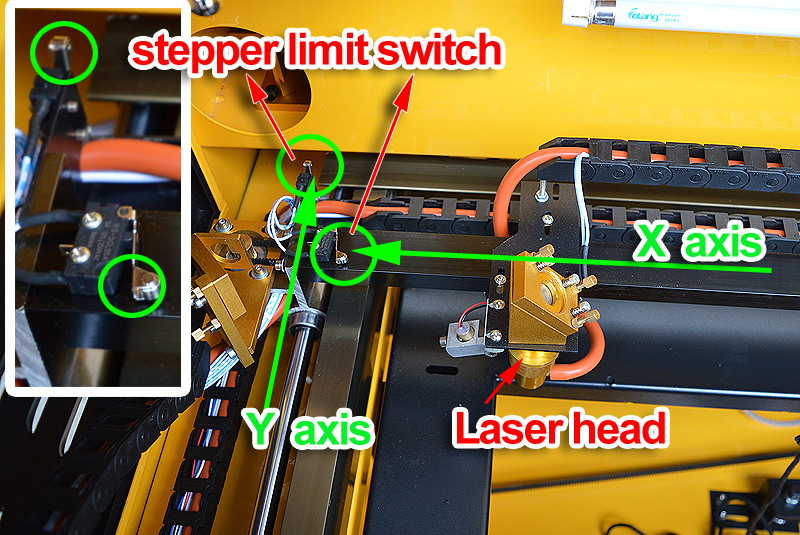 Answer:Drag the laser head and manually to the upper left corner,(The laser head moves to the left,then drag X axis to upper ,Touch the two stepper limit switch ),purpose,Identify the rotation axis.